Stock # 46817, 2.0L 4-Cylinder, Automatic, 5 mi. 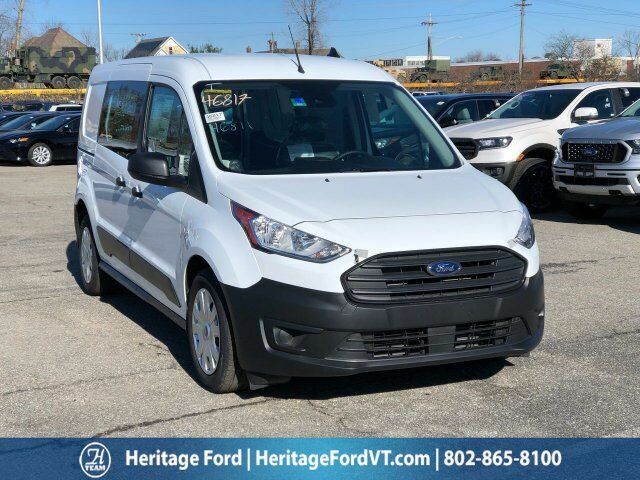 Frozen White 2019 Ford Transit Connect XL FWD 8-Speed Automatic I4 Transit Connect XL, 4D Cargo Van, I4, 8-Speed Automatic, Frozen White, Ebony Vinyl, ABS brakes, Electronic Stability Control, Illuminated entry, Low tire pressure warning, Remote keyless entry, Traction control. Here at Heritage Ford, we are proud of the quality Ford vehicles that we provide to the Burlington area and the friendly service that comes along with. Recent Arrival!